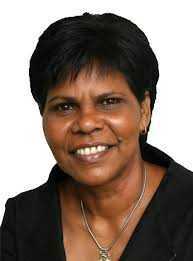 After some deliberation, Tiwi Islands Regional Council has chosen Marion Scrymgour as our new CEO. Marion’s mother was a Tiwi Islander. Marion was a member of the Northern Territory Legislative Assembly from 2001 to 2012, representing the electorate of Arafura. She was the Labor Party Deputy Chief Minister of the Northern Territory from November 2007 until February 2009, and was the highest-ranked indigenous woman in government in Australia’s history. She was also the first indigenous woman to be elected to the Northern Territory Parliament. Tiwi Islands Regional Council and staff welcome the new CEO and hope that we can build a constructive and creative working relationship.